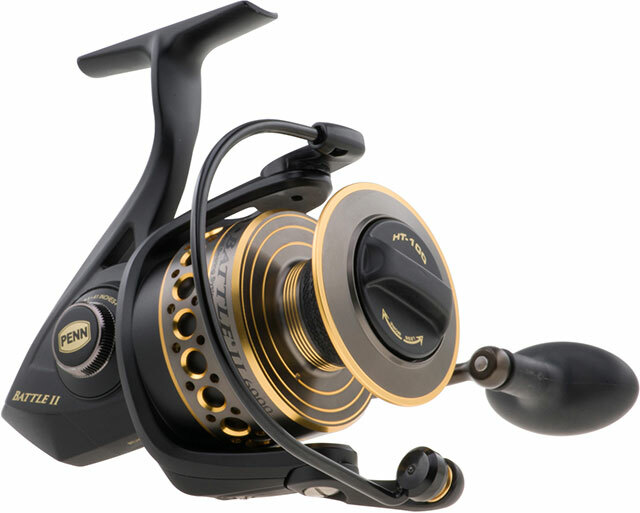 Battle II spinning reels have Penn's HT-100 Versa-Drag washers keyed into the spool which allows both sides of each drag washer to be used. This gives the Battle II higher max drags, more range, and smoother start ups than the competition. All HT-100 washers are greased with Penn's proprietary PENN grease for longevity.